Happy 2015 everyone! We’ve got a bit of a break from weddings for some of the colder months, so I’m hoping to catch up a bit on blog and FB posting. I have been completely remiss in not posting a lovely gift we received from our October 11th couple – Lindsay and Jeff Griswold. 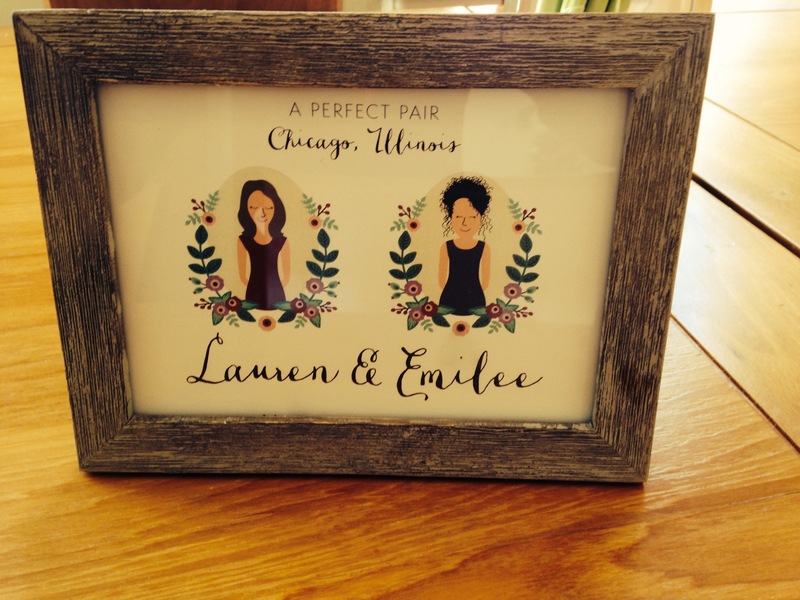 Check out this amazing illustration in the same theme as their wedding invitation and program! So thoughtful, right? I have it on my desk and it’s a constant reminder of how much love we witnessed on their wedding day – cheers to you Lindsay and Jeff! We heart you guys! 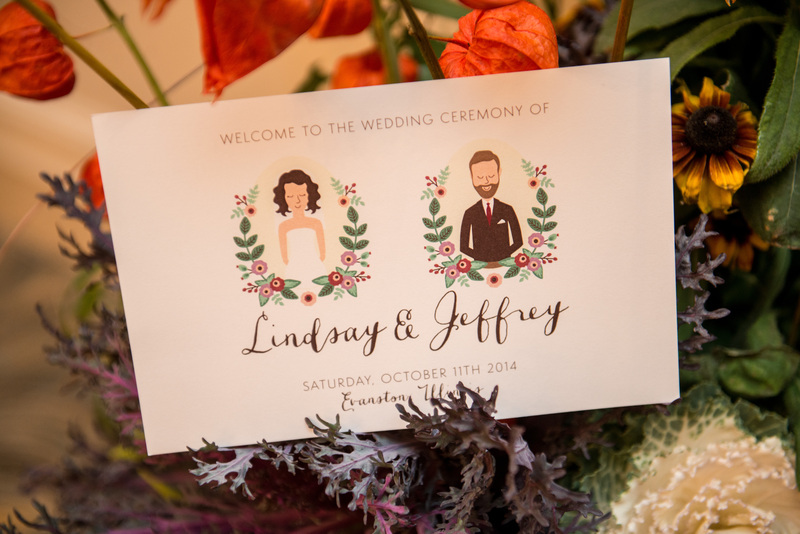 (Photo of program courtesy of the talented Nick Gerber of Orange2 Photo) More to come on Lindsay and Jeff’s fall nuptials soon!